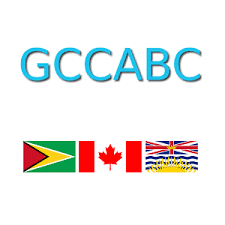 Annual General Meeting of the Guyanese Canadian Cultural Association of BC. We encourage all recipients of this message to attend and support your local association. Please note that at this Annual General Meeting we will be accepting nominations for the position of President and all Board Positions. 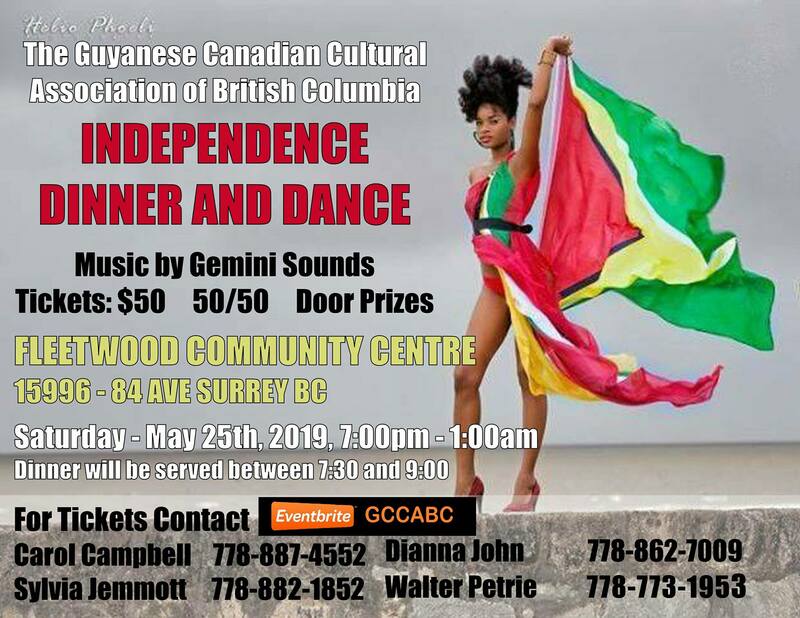 2019 Independence Dinner & Dance Please join us in celebrating our 53rd year of of Guyanese Independence. Deposit of $50 due by Feb 28th. 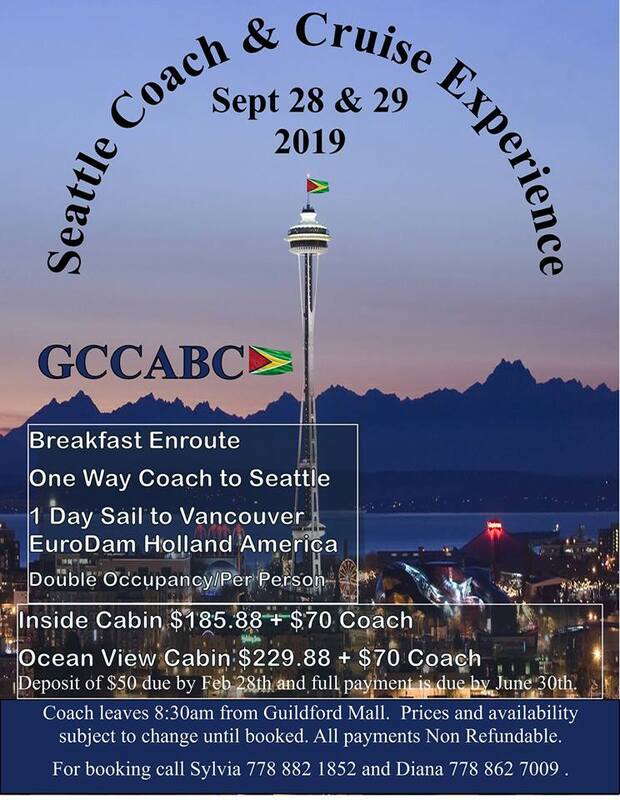 Full payment is due by June 30th. Please feel free to visit our Facebook page for more info about this and other community events.